Last edited by KOOK on 3/9/2012, 5:57 pm, edited 1 time in total. Comrade Kook, a new talent for the collective? Love the glasses on Susan Orbison. (please don't get me started on videos, I waste enough time on simple graphics) The quavering voice over was a nice touch. Nice job Kook. Very funny! Thanks. Thanks also for the extra artwork and for the inspiration. That quavering voice? Li Karaoke. I kept tyring to get him to shut-up, but noooooo, he had to continue trying to step on my soundtrack. Otherwise, it sounds exactly like Roy Orbison the time he sang while extremely drunk and sick with a severe case of the Plague. You're kind enough not to complain, but I think a Petty person, such as a Petty Woman, would be likely to find fault. Has anyone seen Commodore Snoogie? See that woman dressed in black? She makes her living on her back. HA! I am peoples' poet... just like Doktor Zhivago! 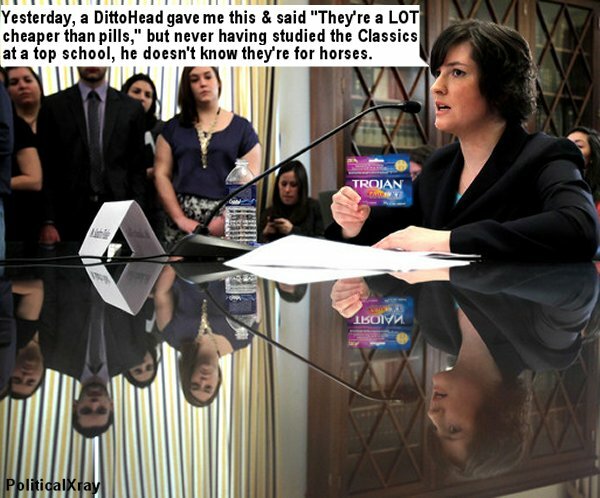 Here's an alternate caption-contest image that affords a larger space for pasting text. If I had a mother she would look like Sandra Fluke. 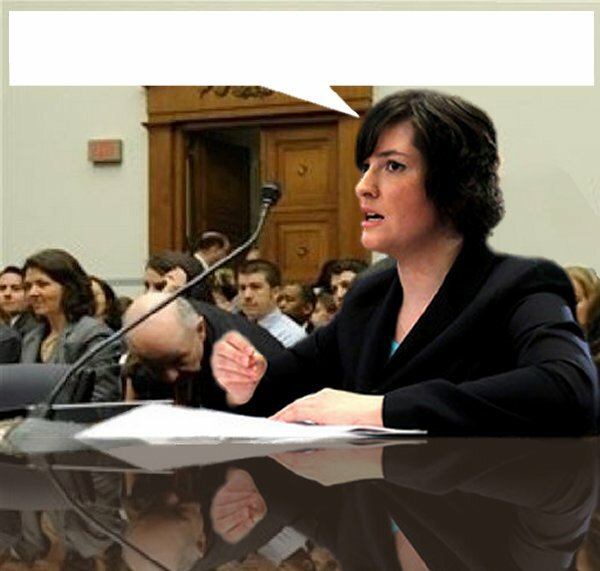 Democratic National Convention to Feature Sandra Fluke!